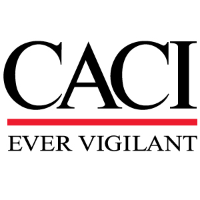 CACI has an exciting job opportunity for a Cyber Security Control Assessor at an exciting client located at Ft. Bragg, NC. Manages, maintains and reviews Certifications and Accreditation documents for supported Automated Information Systems to ensure compliance with DoD and Intelligence Community Risk Management Framework (RMF) standards. Maintains comprehensive knowledge of DoD and other associated directives that govern DoD RMF and Intelligence Directive 503. Conducts security reviews, scans, evaluations and risk assessments to identify security risks and impact of potential Cyber vulnerabilities. Evaluates security procedures to implement and ensures potential users are aware of and comply with command Cyber Security policies and procedures to generate and maintain required documentation for supported information systems to include the System Security Plan, the Risk Assessment, the Plan of Action and Milestones and the Authority to Operation (Operate) or to Connect. Reconcile customer requirements within acceptable risks determined by DOD policies, command policies and generally accepted practices. Make recommendations for tools and processes to improve CS initiatives.